It is important for the buyer and seller to know the details of how the purchase will be financed. Here are some of the financing options available as well as information on the effects each type will have on the sale. Cash: A cash buyer should provide the seller with documentation showing that they have the funds available for the purchase (proof of funds). This could be in the form of a bank statement, investment account, or a letter from the financial institution holding the funds. If the purchase will require you to liquidate an asset, you should give a timeline for when the asset will be converted to cash. A buyer's closing costs for a cash purchase are generally minimal. Mortgage: For the majority of buyers, a home purchase is financed with a mortgage. Since the offer is usually contingent on the buyer obtaining financing, the seller will want a pre-approval letter from the buyer's lender showing that the buyer will be able to obtain the loan for the purchase. FHA & VA Loans: These loans are government funded and usually require the seller to adhere to additional financial and performance obligations. 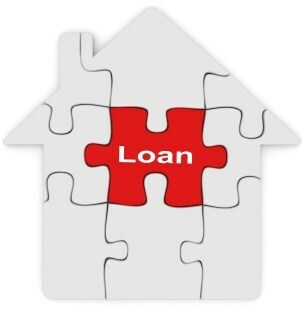 Both types of loans prohibit buyers from paying certain lender costs and closing fees. Additionally, home appraisals required for FHA and VA loans are more detailed and often more expensive than an appraisal required for conventional financing. Down Payment: The buyer will need to disclose how much they are willing and able to provide as a down payment. The amount of the down payment can be important because it is generally easier for a buyer with a higher down payment to get loan approval. Interest Rate: As a contingency to the offer, the buyer may disclose the maximum interest rate for which they are willing and able to accept financing. This term serves as a protection to the buyer in case interest rates experience a major hike in the time between the contract acceptance and closing. The seller will want to make sure the stated maximum interest rate is in line with current market rates so the buyer cannot use a minor interest rate increase as a reason to terminate the sale. Closing Cost Concessions: If a buyer is tight on funds to purchase or is looking for financial incentives, they may request that the seller pay all or part of their closing costs and prepaid items. In asking this, the buyer is essentially reducing the seller's net proceeds. Thus, the seller may be less willing to negotiate on the overall purchase price. Buyers should realize that although seller paid closing costs may save them money up front, they are essentially financing those expenses and will pay more for them over the long run in interest charges.